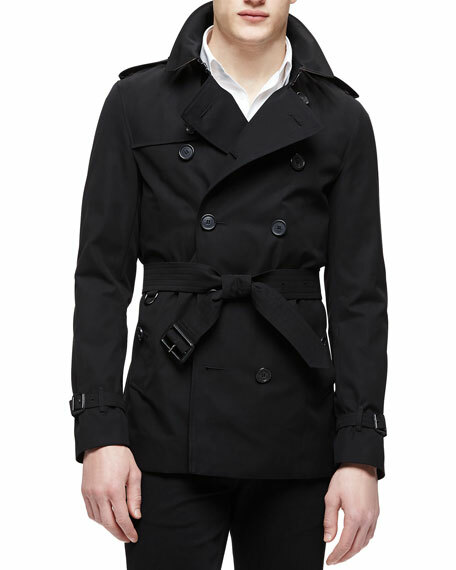 The Sandringham poplin short gabardine classic trenchcoat by the Burberry London. Napoleonic collar with iconic check underside; double-breast button front. 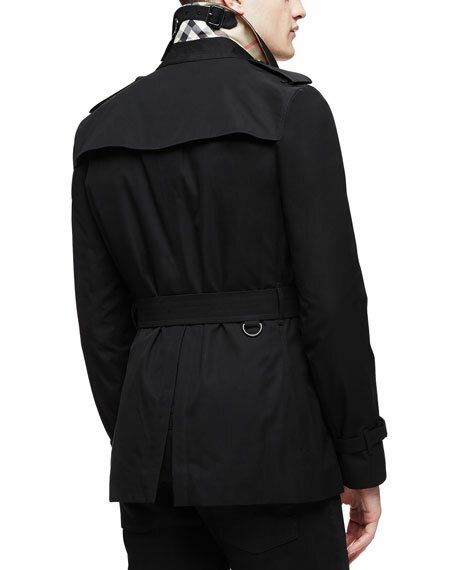 Long sleeves with button cuffs; epaulets. Adjustable self belt may be tied, buckled or removed. Rain flap on back; center vent. For in-store inquiries, use sku #158661.